Six of these colleges are located within walking distance of each other on the main campus of the University of Toronto. The TST offers a common curriculum and timetable, as well as open access for the students of all colleges to all courses. Thus 1994 marked a half-century of ecumenical higher education in Toronto and a quarter century of the Toronto School of Theology. In 1978, by a "Memorandum of Understanding", Trinity and the other colleges of the Toronto School of Theology entered into a closer relationship with the University of Toronto for the purposes of higher education in theology. 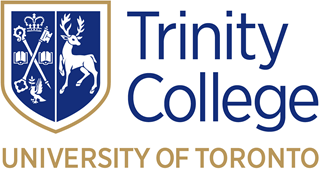 The arrangement brings added resources to the programme, and today means that Trinity and the University of Toronto conjointly award agrees upon approval by the TST. In addition to the shared resources of the colleges and the university, other centres are available to Trinity students. These include the Ecumenical Forum, the Toronto Institute for Pastoral Education, and the Pontifical Institute of Mediaeval Studies. Many students take their Field Education under ecumenical auspices, either in clinical settings or in urban and social training. Through the Toronto School of Theology and the University of Toronto, Trinity students and professors enjoy the resources of one of the most important centres of theological education in North America.